Cloned from NCD Dot Matrix by djnippa. 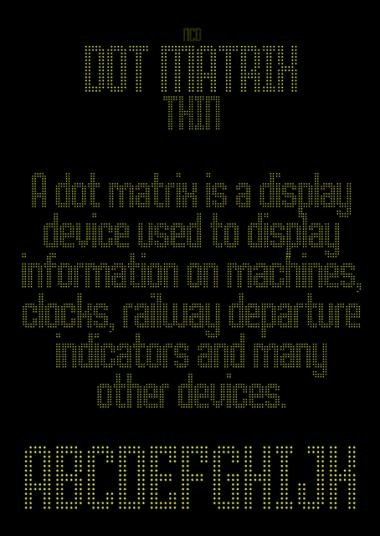 Clone of NCD Dot Matrix. The thinnest and most difficult to read. Recommend it be used at a large point size. There are also Light, Regular, Bold & Black versions. Info: Created on 28th December 2008 . Last edited on 15th June 2010.